Once a month we’re featuring a new family-friendly dish from the Hatfields for our Kids Can Cook section. The dairy-free teen cooking star is Katherine and this week she and her “mama”, Sarah, are showing the little ones how to make classic Puppy Chow without dairy, gluten, and nuts! 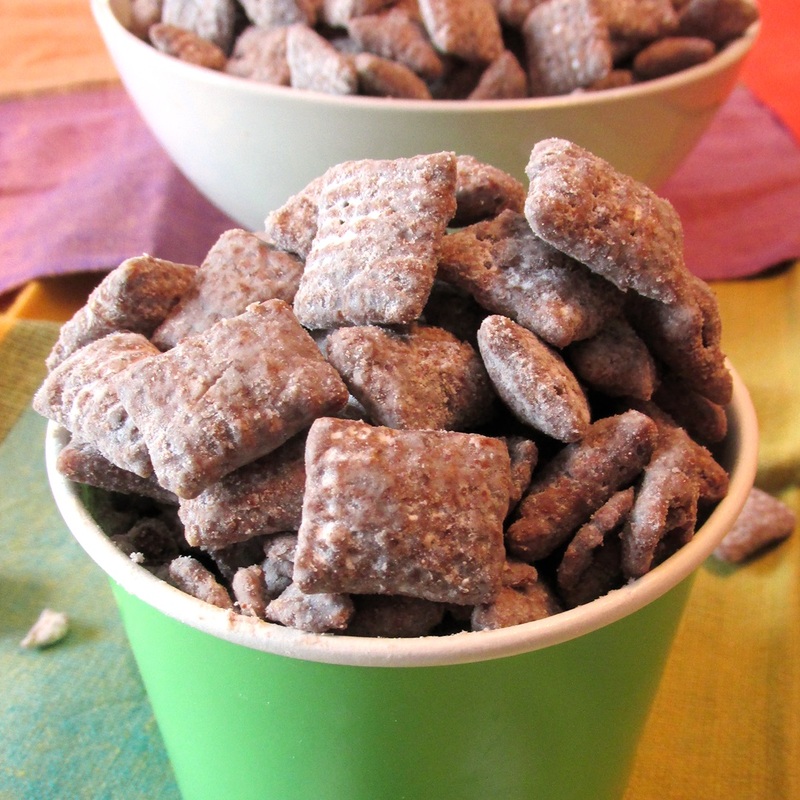 Puppy Chow, or Muddy Buddies, is a popular kid treat that is simple to make, and simple to make dairy free and allergy friendly! Of course we used all dairy-free ingredients in this recipe, but I also included options to use gluten-free rice squares cereal (many brands are gluten free) and sunflower seed butter for a snack mix that is also gluten-free and nut-free. These substitutions make these Muddy Buddies a great choice for school parties and other celebrations, not just for a snack at home. 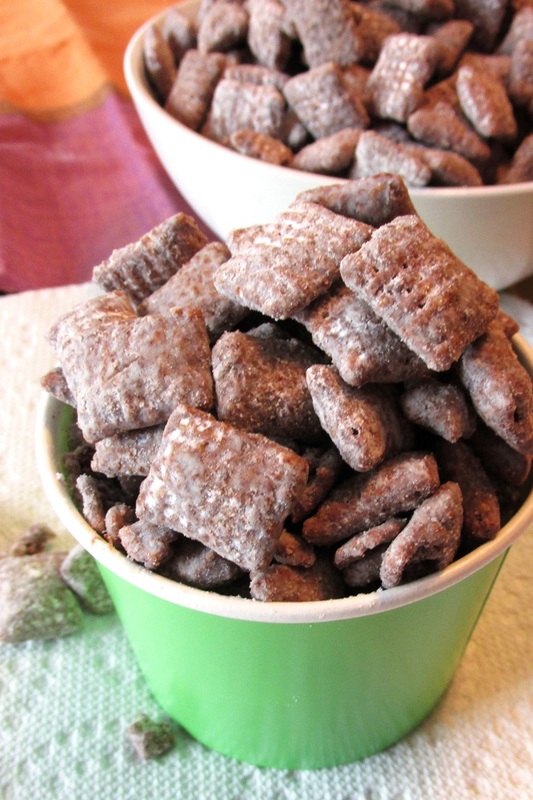 Because all of the cooking is done in the microwave, Puppy Chow is a great first cooking experience for younger children. An older sibling can help as needed with the measuring, pouring, and handling the warm bowl. 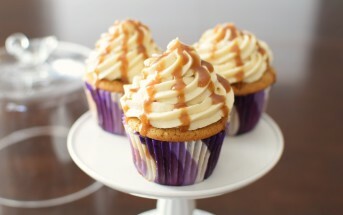 My kids had a three-day weekend last week, and making this recipe with was a fun activity on their day off. Shaking the cereal mixture in a plastic bag to coat it with powdered sugar is especially entertaining. The melted chocolate and powdered sugar can be a little messy, so wear an apron and roll up your sleeves! 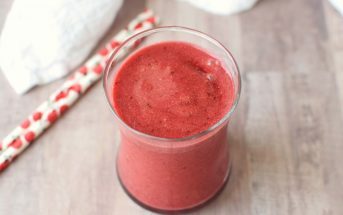 By ingredients, this recipe is dairy-free / non-dairy, egg-free, gluten-free, nut-free, optionally peanut-free, optionally soy-free, vegan, and vegetarian. Our version is adapted from the classic Betty Crocker Muddy Buddies recipe. Measure the cereal into a large bowl. In a medium microwaveable bowl, microwave the chocolate chips, nut butter, coconut oil or buttery spread, and salt (if using) on HIGH for 1 minute. Vigorously stir the chocolate mixture. Microwave in additional thirty-second increments, stirring vigorously in between, until the mixture is smooth when stirred. Usually this takes a total of one minute. Do not overheat it or the chocolate will scorch. Stir the vanilla into the chocolate mixture, and pour it over the cereal. Stir until evenly coated. Pour the cereal mixture into a 2-gallon zip top plastic bag. Add the powdered sugar, seal the bag, and shake until the cereal is coated with the powdered sugar. Spread the mixture onto parchment paper, and let it cool before serving. It can be stored in an airtight container at room temperature for up to 1 week. 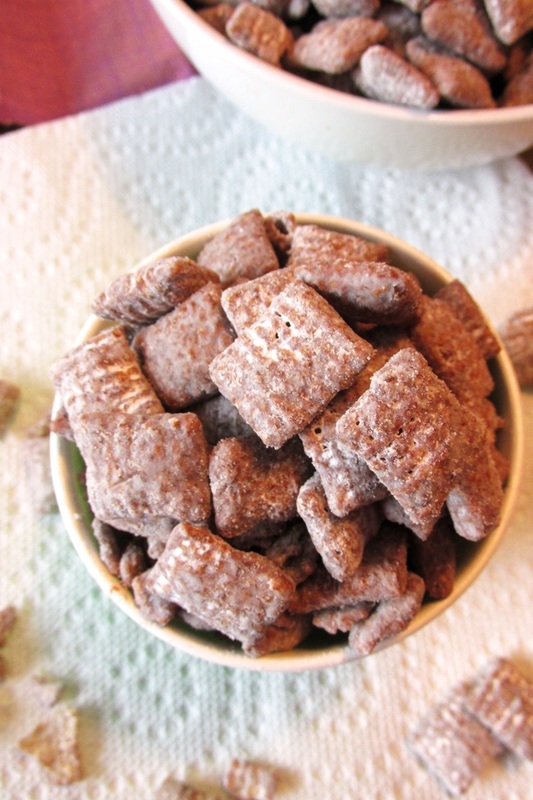 I’m so happy to find a recipe for nut free puppy chow! My son loves puppy chow but hasn’t been able to have any since he developed an allergy to nuts. Can’t wait to try this!! That’s awesome! Hope you both enjoy it Hailey. 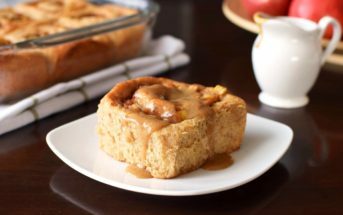 Do you have the recipe to make this using more conventional coking? I gave my microwave away ans started eating only conventionally-cooked food. I sometimes use ans air fryer, bu nothihg nuke, and I have begun to feel SO much better. Thanks. Here’s my guide to melting chocolate – http://www.godairyfree.org/news/the-best-way-to-melt-chocolate – you can use any of these techniques. Just place the chocolate, nut or seed butter, oil or buttery spread, and salt all in the bowl and melt them together this way.